Who Knew There'd be Morgans at the End of the Rainbow? 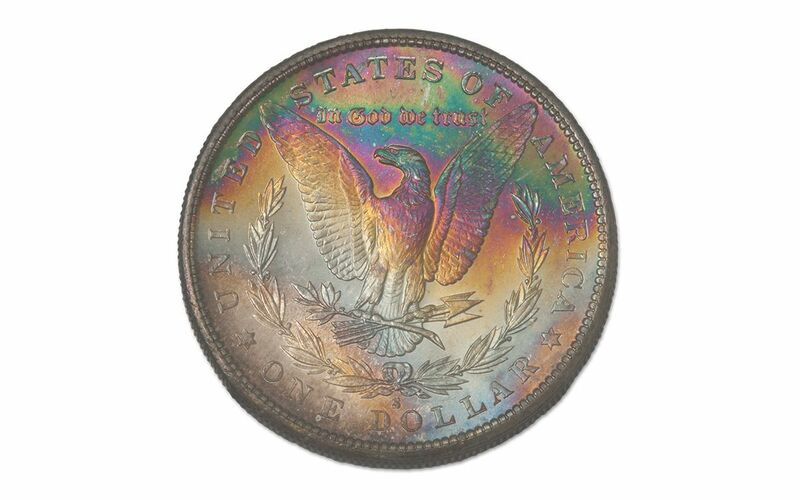 This fascinating Morgan is a "Rainbow Toner" -- a coin that experienced a chemical reaction between its copper and silver contents, creating an incredible array of unique appearances. No two naturally toned coins are alike, and as they make up only a fraction of the already limited number of Morgans still in existence, they've been known to command amazing premiums in the market place! There are some things they all have in common, though -- like incredible eye appeal, and the fact that their unique nature means we only have one of each coin available! 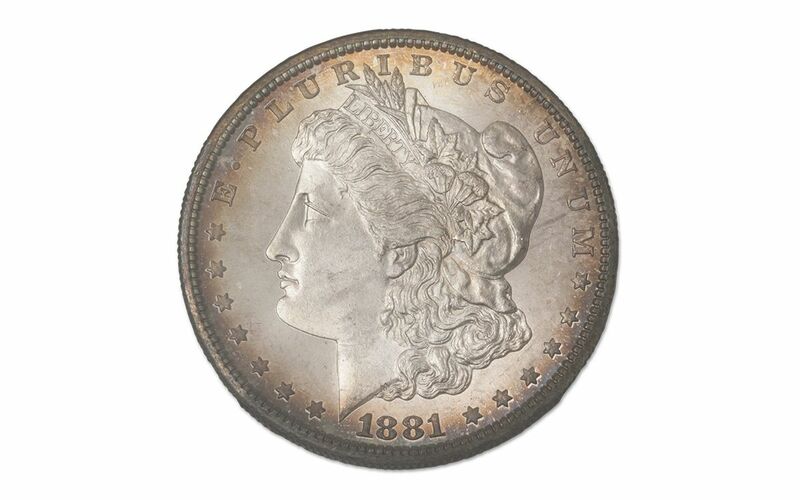 The 1881-S is already argued by some numismatists as the best-struck Morgan in the entire series. 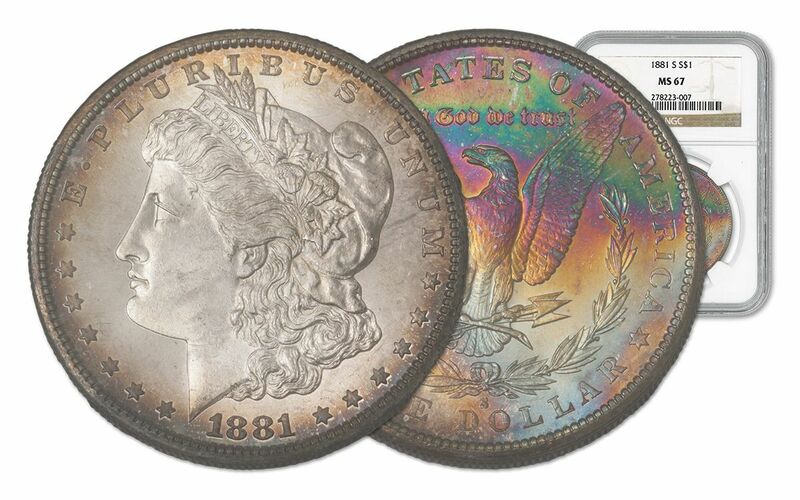 Add the beautiful toning covering half of this Morgan's reverse, and you have something truly special. Numismatic Guaranty Corporation (NGC) even turned it around in the holder! 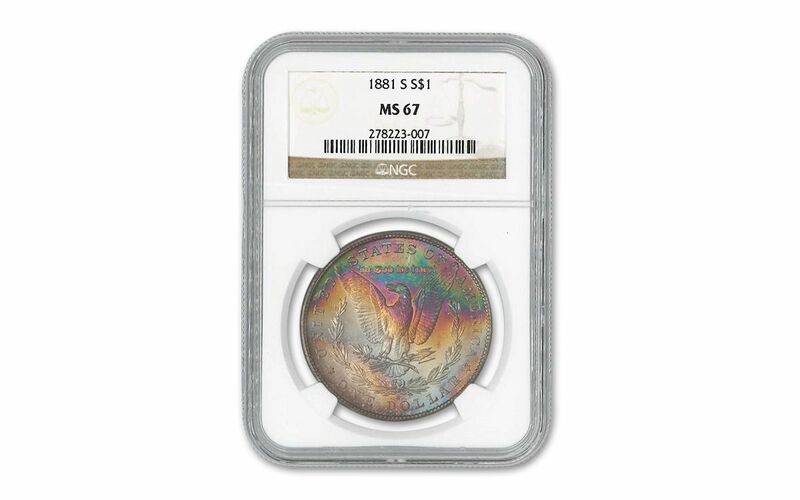 Comes graded Superb Gem Mint State-67 (MS67), placing it in the top 2% of 1881-S Morgans submitted to NGC. This is the only one available -- get it today!